Day 6 - Button placement and attachment. NOTE: It is important that you use a strong thread to attach your buttonholes. I am using Perle 8 thread to match my fabric but you could use top stitching thread or something similar. 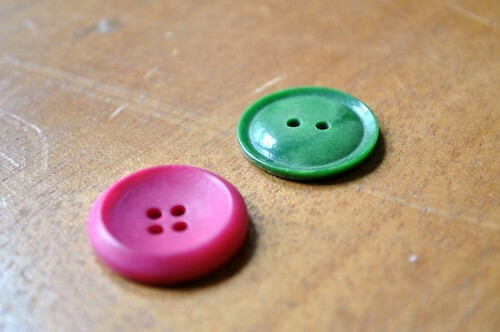 The first thing you will need to do is find out where to sew your buttons. To do this line up the button band with the cape front and pin in place if necessary. 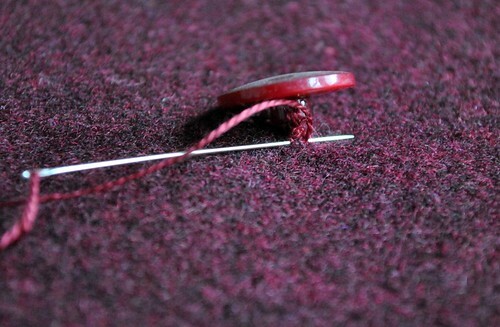 Push a pin through the buttonhole opening 3mm from the end that is nearest the neck edge into the button band below. 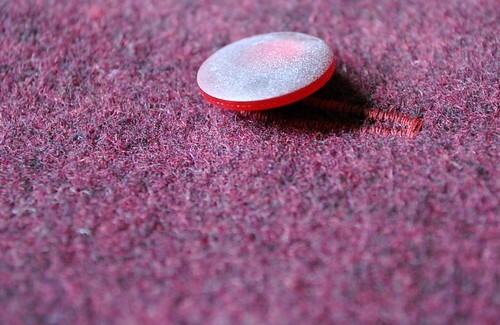 Sewing the button 3mm from the end prevents the button from undoing itself when you're wearing your cape. 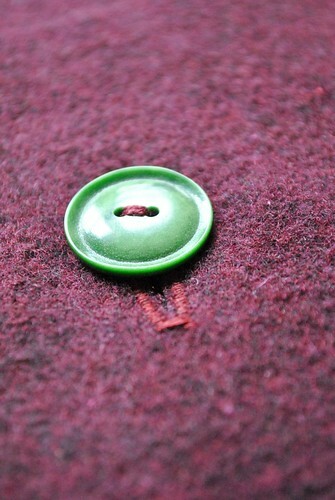 Two or four hole buttons can be sewn flat onto a garment but this is only suitable for thin fabrics. For bulky fabrics a shank is needed. 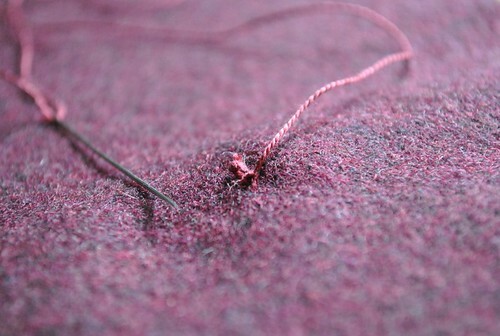 Start by sewing a few small securing stitches where the button is to be placed. 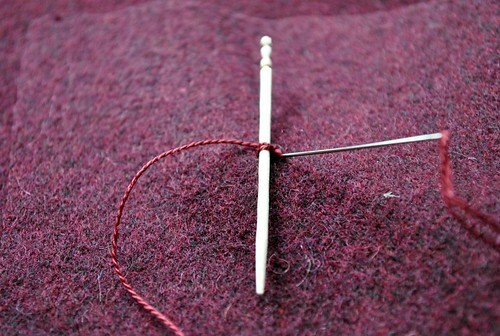 Centre your button over the stitches and bring the needle up through one hole. Lay a cocktail stick or match across the top and sew down through the second hole. (if you have 4 holes you would then sew through the third hole then the fourth). Sew about six complete stitches in total and remove the cocktail stick. 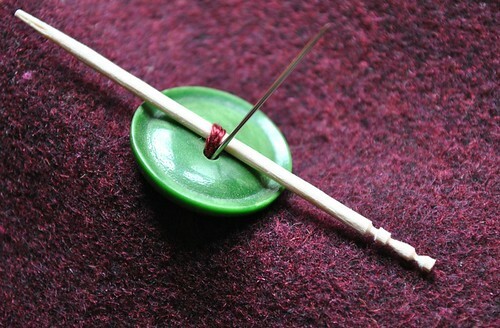 Pull the button away from the fabric and wind the thread around the the stitches between the button and the fabric. Back stitch into the shank then through to the wrong side of the fabric. Secure to the underside with a few stitches then trim the thread. Fasten your button through your buttonhole and you're done! 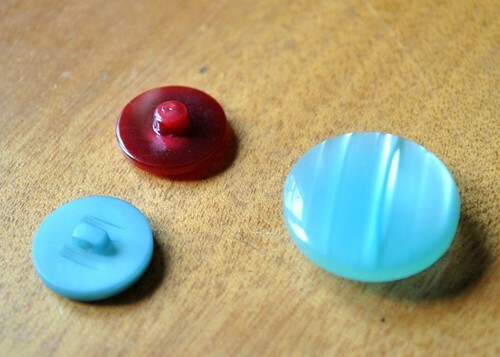 These buttons have their own shank attached to the underside and can be sewn on with enough stitches to secure them to the fabric. 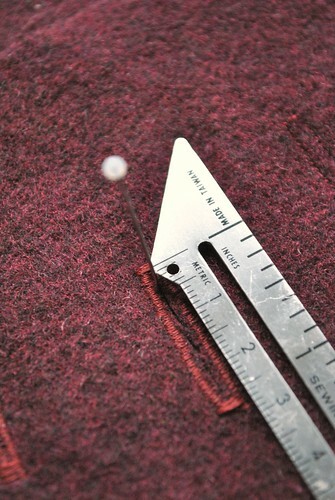 If your fabric is particularly bulky you can add a little extra shank when attaching them. 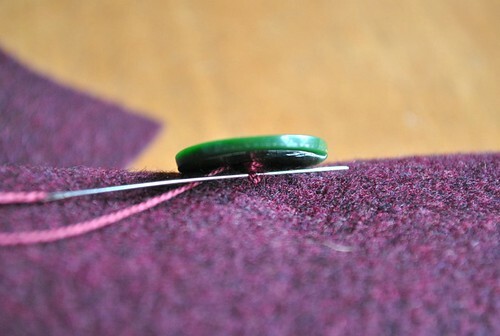 Start by sewing a few small securing stitches where the button is to be placed. Place the button over the top and a cocktail stick on the underside of the fabric and sew through the hole in the button shank, down through the fabric around the cocktail stick and back up through to the right side of the fabric. Repeat this about 6 times. Remove the cocktail stick and pull the button away from the fabric. Wrap your thread around the stitches between the button and the fabric and backstitch through the stitches then through to the wrong side of the fabric. 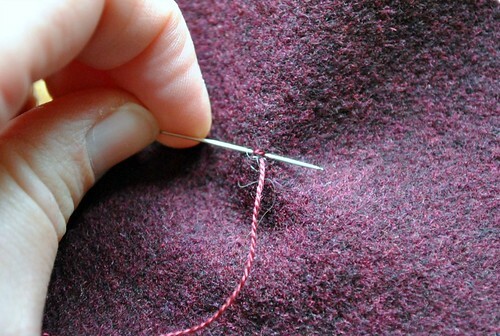 Sew a securing stitch on the wrong side and trim your thread. Fasten the button through the buttonhole and you're done! On day 7 we will be sewing the waist tie and finishing off the cape including alternative ways to finish the hem.